Click through to see this weekend's art and the design requirements for your single card submission, due Monday morning. Every submission warrants feedback, which I will try to provide, and which everyone is welcome to provide as well. You may use that feedback to revise your submission any number of times. Two weekends ago, I ran a challenge to design the as-of-yet unspoiled members of M15's Soul of [Plane] cycle. As usual, there were a lot of good and interesting designs, and I gave feedback around what seemed more and less likely. Now that the rest of the Souls have been spoiled, it's more clear how accurate some of that feedback was, and where it could have been better. Let's talk about that. 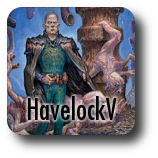 First off I just wanted to give a big thanks to HavelockV and Jay Treat. Last week life got in the way of me delivering a post, but they both stepped up to the plate with excellent posts to keep Tesla humming along. And now we can get back to laying the groundwork. 6/25/2014 - I think I designed these while looking for ways to interact with Theros' +1/+1 counters. 6/24/2014 - Somewhere between Remand and Force Spike / Mana Leak, there is a counterspell that's worth playing in the right deck, but not quite so effective. Is it Many Leaks? 6/19/2014 - This is likely a terrible idea. It's helpful to guess how useful an idea is early on, but never discard one until you've explored it; until you can explain why it's not worth pursuing, and are sure it doesn't lead to other, better ideas. Bound to [thing] is a keyword that means you have to run at least as many copies of THING as CARDNAME. The idea is that we can make a card more powerful than normal by requiring you to run specific cards, particularly (but not necessarily) less powerful cards. 6/17/2014 - It's pretty awkward that this art shows the spider attacking an earth-bound target, but I was lucky to find a fantasy illustration of a spider at all. I can only suffer so many macro photographs of real spiders before I lose the ability to sleep, or keep my feet under the desk. What I love most about drafting Magic is the interaction between myself, the players on either side of me, and the rest of the table. Game like SolForge and Hearthstone that allow you to "draft" without players lack that interaction entirely, which got me thinking about ways to enhance it. What if your rank at the end of a draft was based not just on your own results, but those of the players next to you? Not necessarily L+C+R, maybe L+2C+R or so, but the formula's not the point. The point is that you now have a very real incentive to coordinate as well as you can with the players you're passing directly to. After a couple of weeks sorting out the voting, we’re finally decided on a thematic heart for Tesla. Tesla is going to be about progress and all that entails. 6/11/2014 - This design was inspired by Nich's suggestion of a color-shifted Three Wishes. What really got my motor running was the idea of exiling multiple cards, such that your choices were greater, but repeated use makes you potentially vulnerable to decking, ala Arc-Slogger. 6/5/2014 - Wrath Insurance, anyone? After exploring our options for Tesla, last week we voted on a theme. I’m happy to announce…wait, I’m now being informed that we have a tie between #4 and #6 (Transcendence and Progress). That leaves us in need of a tie-breaker, but it’s been pointed out that the two have a lot of overlap and could easily be woven together. Whether or not we ought to do that is up for debate. However it plays out, we'll undoubtedly be weaving in more nuanced thematic elements as we go, so for now let’s just take another look at the defining characteristics of our options. 6/3/2014 - I haven't added to my folder of card ideas much this year, and it's starting to dry up. There're a lot of so-so or so-bad cards in there. Here's one where I can at least show a thoughtful improvement.